My last two articles (Train Your Brain! Target Consciousness Part 1, and How to Train Your Brain) were about weak squares and weak pawns, which I view as targets that need to be devoured or used. Creating a permanent seek-and-destroy mentality when it comes to these and other targets is something I call Target Consciousness. Here I’m going to milk weak squares and weak pawns one last time so that, after you combine all three articles, you should have an excellent grasp of what a weak pawn and weak square is. Moreover, I’m hoping that this will enable you to make your first steps into the world of Target Consciousness. Don’t let these first steps be your last. 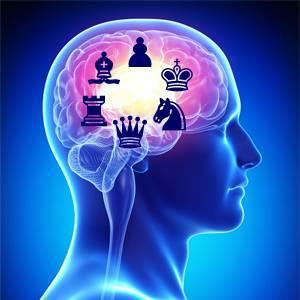 Make Target Consciousness a permanent, and very important, part of your chess mentality. We’ll start with one of the greatest “weak square” games in history. The other instructive highlight from this game is the power of space. The notes will be minimum, but I do want you to pay attention to the weak squares and how White takes advantage of them, so expect me to point out those things when they occur! Prepare yourself for a real treat! 1.d4 d5 2.c4 e6 3.Nc3 f5 4.Nf3 c6 5.Bf4 Bd6 6.e3! Black tends to have some problems with the e5-square whenever he plays the Stonewall Dutch, but in this position that square can become a chronic illness. White would love it if Black doubles his pawns after 6...Bxf4 7.exf4 since then e5 will be White’s permanent possession. Not a very good move. Black is hoping to force Bxd6, but White won’t snap at the bait! The knight looks good here, but e4 isn’t a hole (compared to e5, which IS a hole!) since White can eventually kick the knight out by f2-f3. Facing tactics down the c-file, Black caves and chops on f4. The White queen keeps an eye on the weak dark squares and makes it hard for Black to develop normally. The white queen has done its duty and should gradually be brought back to the kingside. White already has sizable advantage in central space, but now he decides to grab queenside space too! 20...Nc7 21.Qb2 Bd7 22.Qc2 Qe7 23.Ref1 Rae8 24.g4! Not only gaining kingside space, but also preparing Rh3, which will force the creation of new target squares. This might look like an attacking move, but it’s actually designed to force Black into making some serious positional concessions. Think about this! With 25.Rh3 it seemed that White was launching a kingside attack. But instead he was forcing Black to create new holes which will be dominated and occupied later in the game. This is a great example of one side forcing the creation of new targets. White now owns the whole board! More queenside space for White. The knight will move to e3 (which will keep black’s queen off of f5 after g4-g5) and, after g4-g5, it will continue onto g4 and then h6 or f6. Heading for the targets on f6 and h6. White gains even more kingside space while simultaneously laying claim to both f6 and h6. This knight joins the g5-pawn in its desire for h6 and f6. Not only gobbling up more squares from Black’s pieces, but also depriving Black’s queen and rooks of access to the f5-square. 34...Qd8 35.Neg4 Bd7 36.Qe5 Ne8 37.Rh3 Qc7 38.Nf6! What would have happened if Black tried 38...Qd8? I guess this calls for another puzzle! White swung the knight to e5 so that a pawn sacrifice via ...e6-e5 wouldn’t allow the bishop some freedom. In other words, White wants to make sure all of Black’s pieces remain in a cage. Black is completely helpless, so before breaking into the enemy position, White first places all his pieces on their optimum squares. Black brings his bishop to the kingside to defend against a White breakthrough by h4-h5. For this reason Schlechter makes use of the preparations he had made in the middlegame for a decisive breakthrough on the queenside. In some lines the White king can dance into the heart of Black’s position by Kf4-e5-d6. The Schlechter game you just looked it is one of my all-time favorites, and I have to admit to having gone over it dozens of times as the years have rolled by. I fell in love with it when I was 12, and I’m still in love with it now – I never tire of it! White’s 10.Nd2 prevents 10...g5 11.Bg3 Nh5 (since the queen now covers h5), while eyeing the c4-square which would be an ideal square for the knight since it would place pressure on d6. This move keeps Black’s pieces out of g4 and also allows White's dark-squared bishop to hide on h2 in some lines. It’s surprisingly difficult for Black to create active play from this position. Note that if Black chops on a4 with 20...Bxa4 (White would reply with 21.Rxa4) the f5-square would lose its main defender. Hoping to bail out of his predicament with tactics like ...Nxe3. Defending e3 and g3 and ending any tactical nonsense before it occurs. 23...Bf5 24.f3 Nf6 25.e4 Bc8 26.Bxe5! Black loses material after 26...Rxe5 27.Nc4. Now (after 26...dxe5) Black’s dark-squared bishop finds itself in a sad state since the a1-h8 diagonal is closed. TARGET: the c4-square AT LAST! This knight can now leap effortlessly between b6 and c4. It’s a very happy horse. The c5-pawn is obviously under fire but, ultimately, White wants the whole c-file since the b6-knight would prevent a Black rook from moving to c8 and challenging for the file. Black is hopelessly lost. Making sure every piece reaches its optimal square. The bishop wasn’t doing anything on e2, but it will be a major player on a4! As usual, I always try to deny my opponent counterplay. This move prevents ...Bf8-h6-e3+ when that formerly bad piece would find a nice home on d4. Our next example shows the mentality you need when faced with the loss of a key square. By being aware of weak squares, you’ll be better able to defend yourself against that kind of positional strategy. I realize that many players will think this example is far too advanced for them, but it’s not! You don’t need to understand all of it. But by looking it over and seeing how White wants to dominate c5, and how Black will use his own plusses to not allow White his dream, you’ll start to look at chess in a very different light. This “initial look” is often the first step towards real chess understanding. In a way, the game hangs in the balance here. Black must understand what White wants to do (White intends to dominate the c5-square/target), and he must take action against it by using his own plusses: two bishops and a lead in development. Many amateurs would feel safe enough, and would calmly (and happily) play a move like 17...Nf5, but after 18.b4 Be6 (still living in a fool’s dream and happily developing while Rome burns) 19.Nf3 Rfc8 20.Ba7 Rb7 21.Bc5 Bd8 22.Bf2 (threatening Nc5) 22...Ng7 (defending the e6-bishop) 23.Nc5 Rf7 and now a move like 24.Nd4 pretty much illustrates White’s superiority since he has “won” both the c5-square and the d4-square, plus he is also eyeing the pawn weaknesses/targets on a6 and c6. 17...Nf5 was a disaster for Black. Can’t he do better than that? As I said earlier, Black needs to make full use of his two bishops and lead in development by playing for raw activity and causing a fight before White gets the rest of his pieces into the game. Moves that fit the bill are: 17...g5 (cracking f4), 17...a5 (preventing b2-b4 and, in many lines, preparing to play ...Ba6+, and turning a pure target [when it’s on a6] into a hard working unit with a purpose [though it’s still a target! ]), and 17...c5 (Saying, “No! You can’t win that square!”). All these moves show that Black has a solid grasp of basic positional concepts, while the variation with 17...Nf5 and 18...Be6 showed that Black needs to put away the tactical puzzles for a while and pick up some degree of strategic understanding. All three of these moves (17...g5, 17...a5, and 17...c5) are demonstrations of energy. They give you a look at a strong player fighting to make his own advantages win out over his opponent’s stuff (the inferior 17...Nf5 showed us what happens if you just move pieces about with little rhyme or reason and allow the opponent to make complete use of his plusses. In that case it was the c5-square and ultimately the d4-square too.). We’ll finish with a few puzzles. Please don’t forget to click on the little “?” at the bottom left of the puzzle for instructive prose and variations! Find the target square and you’ll find the solution! White has just captured a pawn on c4 and Black has to decide which pawn to use to recapture. What would you choose? This game shows that Greco, who mowed down so many opponents in a handful of brutal moves, was also adept at positional play, and Target Consciousness, way back in the early 1600s! Read WGM Natalia_Pogonina's article Dark and Light Square Weaknesses.